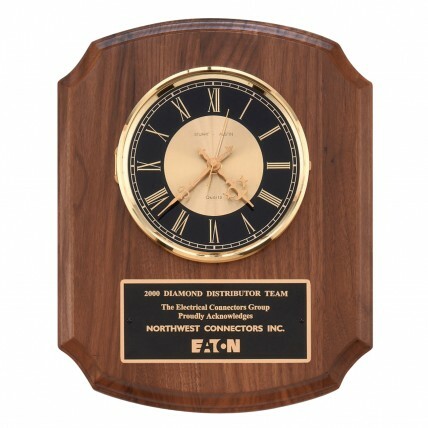 Tell time with sophistication with Personalized Walnut Plaque Wall Clocks. This beautifully-crafted walnut award clock with clipped corners comes with a solid brass diamond-spun bezel with a glass lens, combined black and gold dials, and 3 hand movement. Battery included.